The follow up to 2014’s OUIJA is here in a timely period piece to explain the origins of the toy your parents love to hate. The very talented Mike Flanagan will direct OUIJA: ORIGIN OF EVIL which will hit theaters this October. The studio has released the first trailer this past week and we have it for you to see ICYMI. The film follows a family of palm readers whose flim flam of a practice takes a step in an evil direction when a new device is brought into the house. Enjoy the trailer and one sheet and look for more updates as we get closer to the release of OUIJA: ORIGIN OF EVIL on October 21st. 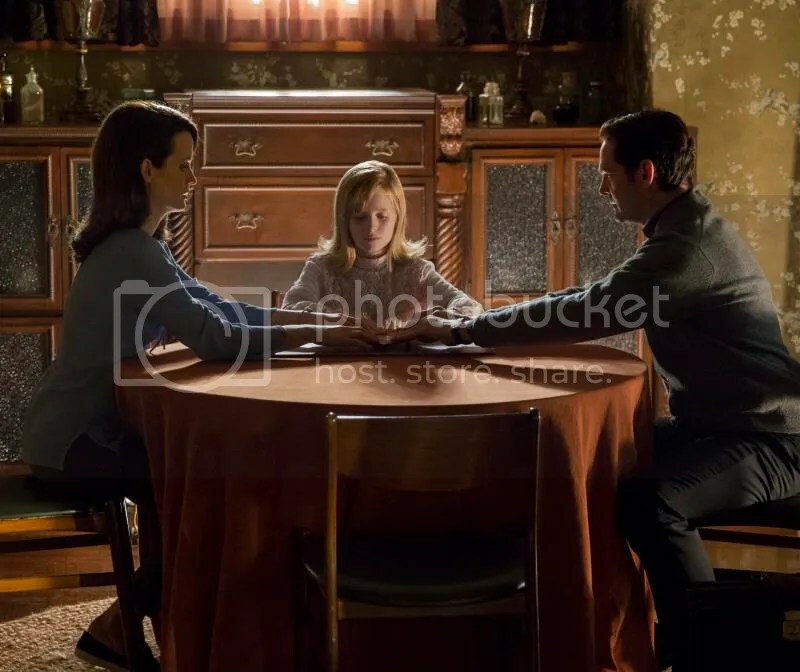 OUIJA: ORIGIN OF EVIL is directed by Mike Flanagan and stars Henry Thomas, Elizabeth Reaser, Doug Jones, Parker Mack, Sam Anderson, Kate Siegel, Annalise Basso and Lulu Wilson.